The Journal of Chemistry and Applications is an online Open Access peer reviewed journal that provides access to the current research and emerging scientific information pertaining to multidisciplinary areas of chemistry. 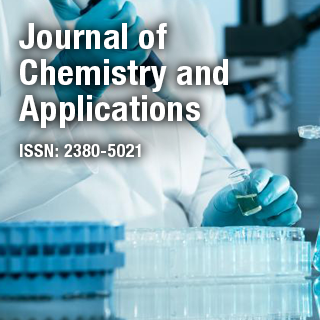 Journal of Chemistry and Applications is an international, peer reviewed journal which invites high quality articles from all the disciplines of basic and applied chemistry. It covers latest advancements in all areas of chemistry including physical, organic and inorganic chemistry. Dr. Ki-Hyun Kim is a Professor of Department of Civil & Environmental Engineering, Hanyang University, Seoul, Korea. Prof. Ki-Hyun Kim has been working on various fields of research regarding air pollution and air quality management. He has been involved in the establishment of various techniques and QA protocols to improve and develop sampling and analytical methodologies of heavy metals (with a major emphasis on Hg, Pb, and Cd) and hazardous gaseous pollutants with an emphasis on volatile/semi-volatile/odorant species (volatile organic compounds, reduced sulfur compounds, carbonyls, volatile fatty acids, PAHs, etc.). He was awarded a National Star Faculty offered to the top 10 scientists in Korea in the year 2006 by the Korean Ministry of Education, Science, and Technology. He has published more than 300 articles in peer-reviewed international SCI journals.